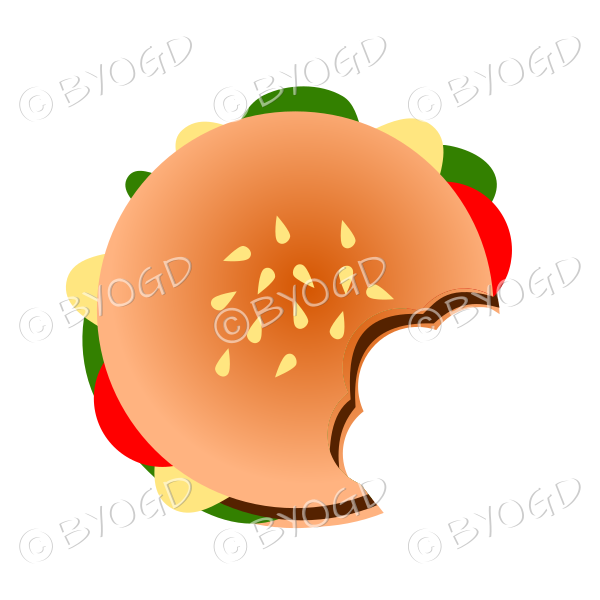 Juicy burger in a bun with bites out of it - top view. Just couldn't resist!! Create your own sizzling meal image with our barbeques and BBQ utensils. Then combine them with our juicy burgers, hot dogs, steaks and crispy chicken.